Learn the alphabet, letters and maybe even some new animals with this ABC Caterpillar. Each body piece has a letter on, and children will love sticking the pieces to any clean, dry wall, as well as the extra stickers for decoration. 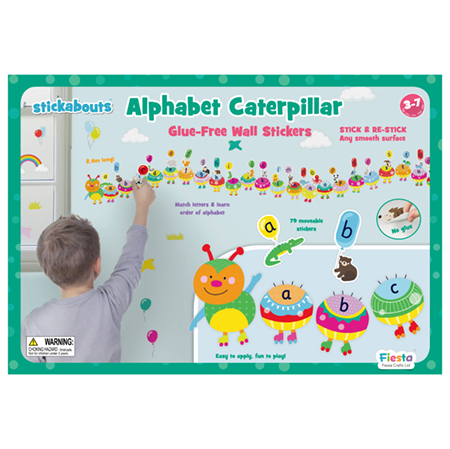 There are also extra stickers with an animal and their initial letter that can be used to place along the loveable caterpillar or even spell simple words. All the stickers are glue free and can be removed and repositioned without leaving sticky residue behind. The alphabet wall sticker fits any size wall as the segments can be moved around into different shapes.